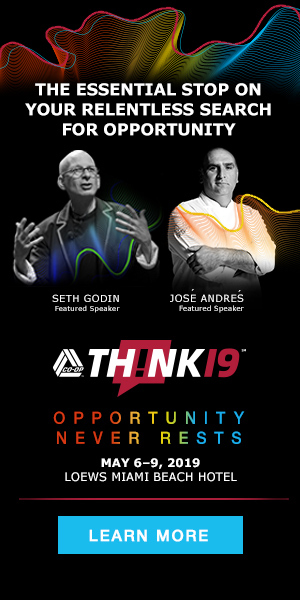 If you’re in the business of providing innovative financial services solutions and services, sponsoring THINK 19 in Miami is a great way to introduce your capabilities to key decision makers in the credit union movement. Please complete the below questions to submit an application to sponsor at THINK 19. Upon approval of your sponsorship, we will create a package tailored to maximize your visibility to THINK conference attendees. Custom sponsor packages begin at $10,000. Your information has been submitted and someone will be in contact with you shortly.